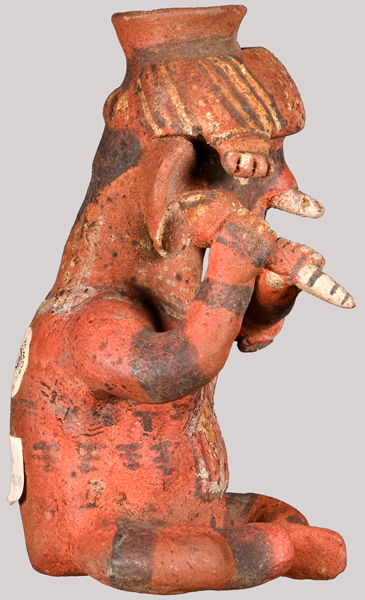 Click on any image on this page to see a larger view. NMM 2354. Seated figure with double pipes and gourd rattle, Nayarit People, west coast of Mexico. 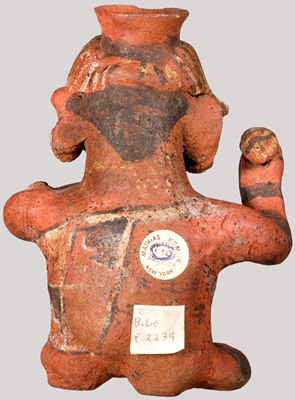 Low-fire, earthenware, red clay body (figure); black, white and yellow slip (adornment) applied before firing. 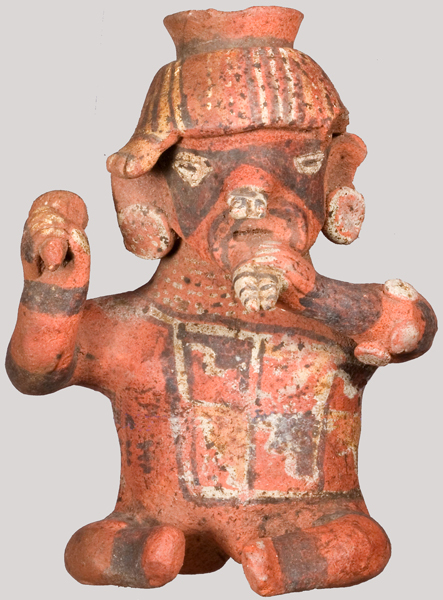 Terra cotta statues like this were common during the Pre-Classic period of western Mexican civilization, ca. 100 BC - 250 AD. Length: ca. 153 mm; width: ca. 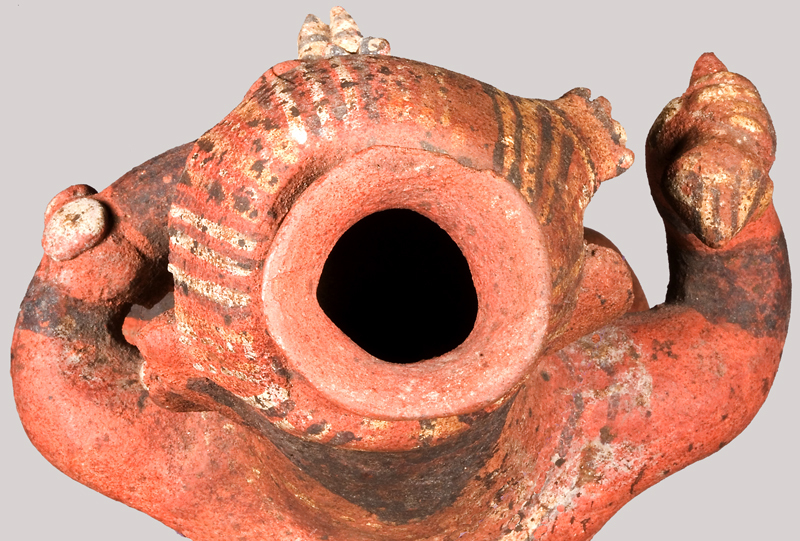 114 mm; height: ca. 90 mm; diameter of vessel opening: ca. 20 mm. Board of Trustees, 1977. 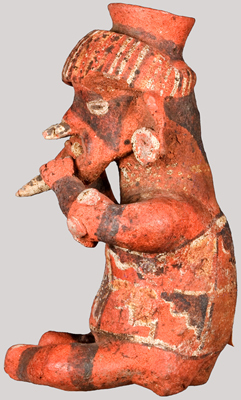 "Pre-Columbian Art Acquired," Shrine to Music Museum, Inc., Newsletter 6, No. 2 (April 1979), p. 3.